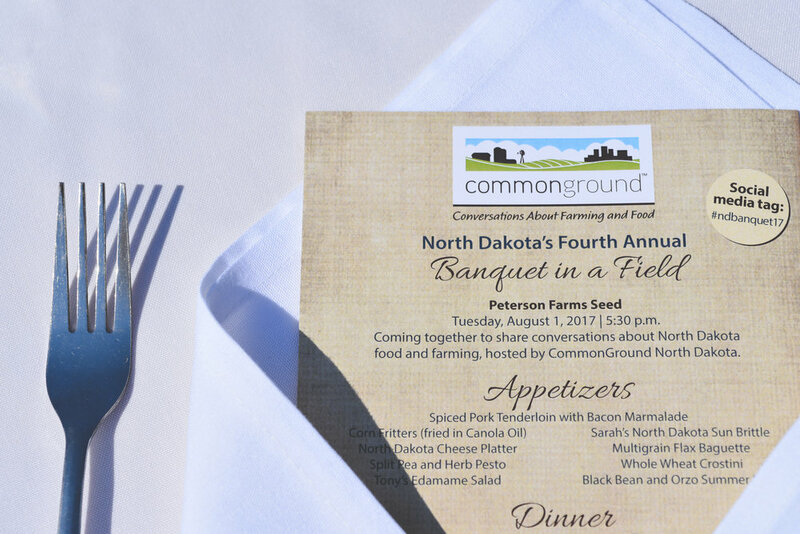 CommonGround North Dakota is a group of farm women working to bring clarity to discussions about food and farming. 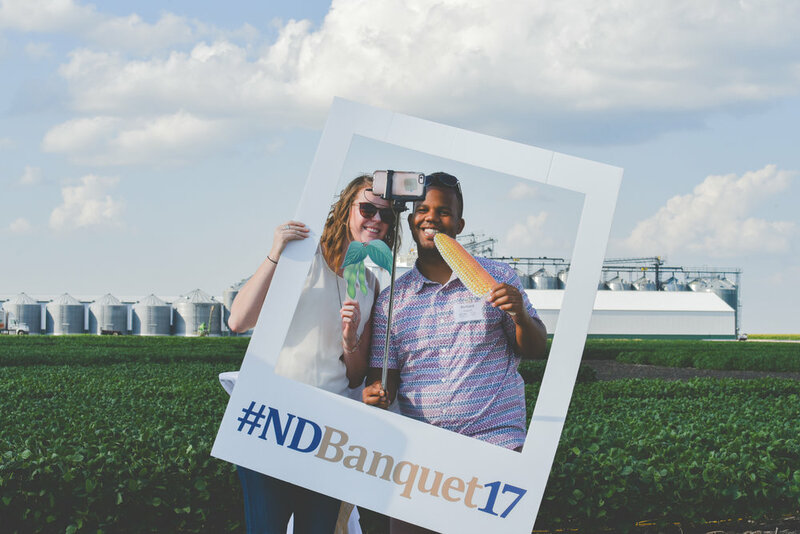 We hosted our 4th annual Banquet in a Field at Peterson Farms Seed in Cass County, North Dakota on August 1, 2017. 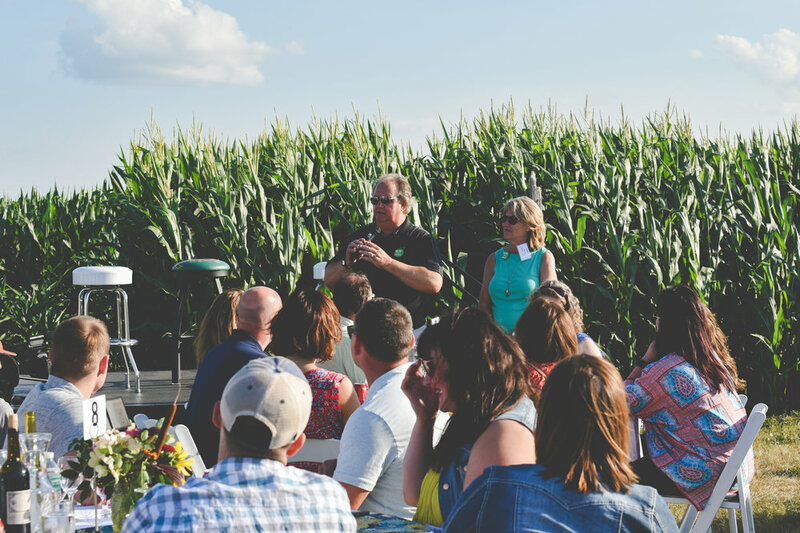 Volunteer farmers sat down to dinner with non-ag influencers from Fargo, North Dakota to have conversations about food and farming. 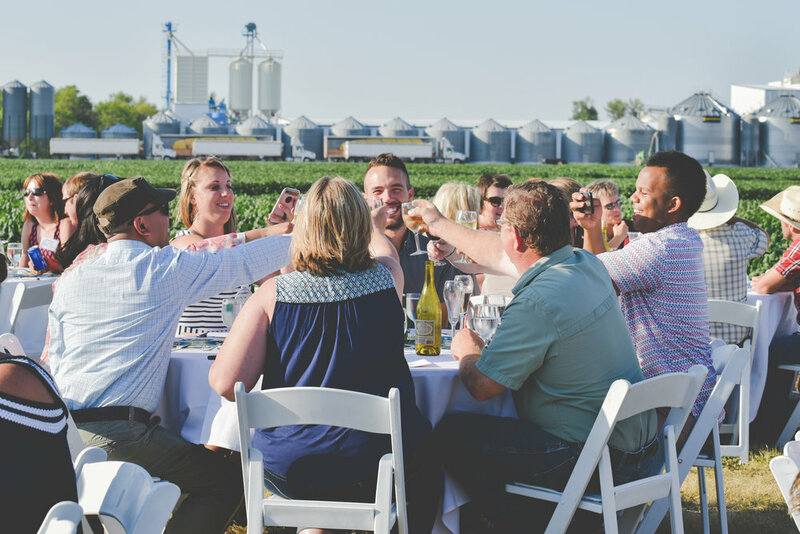 The dinner was prepared by Tony and Sarah Nasello of “Sarah & the Lost Italian” and featured eleven North Dakota crops grown in plots near our dinner plus beef, lamb and pork. A special thank you to our volunteers, planning committee and sponsors who helped make this event happen! 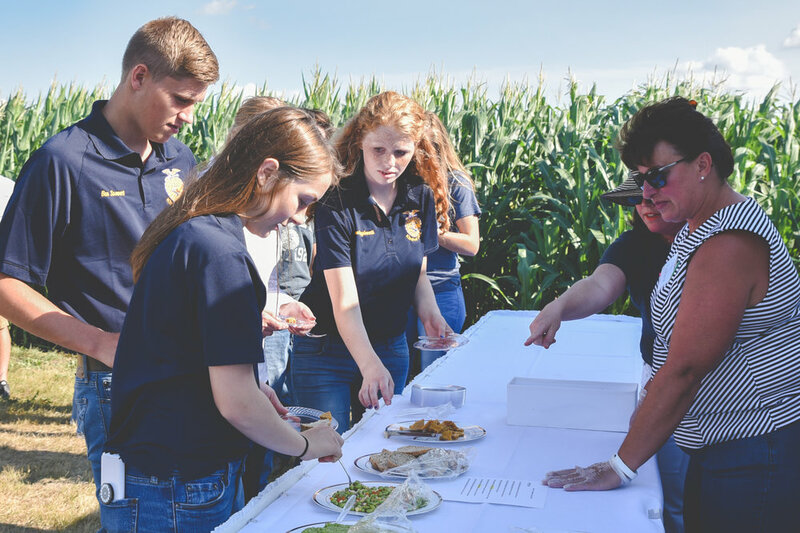 Consumers aren’t getting the real story about American agriculture and all that goes into growing and raising their food. 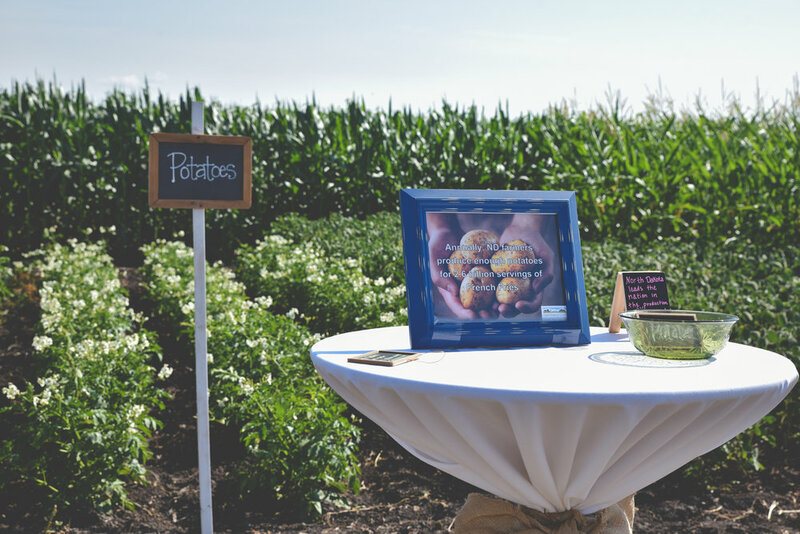 We’re a group of volunteer farm women and we plan to change that by doing something extraordinary. 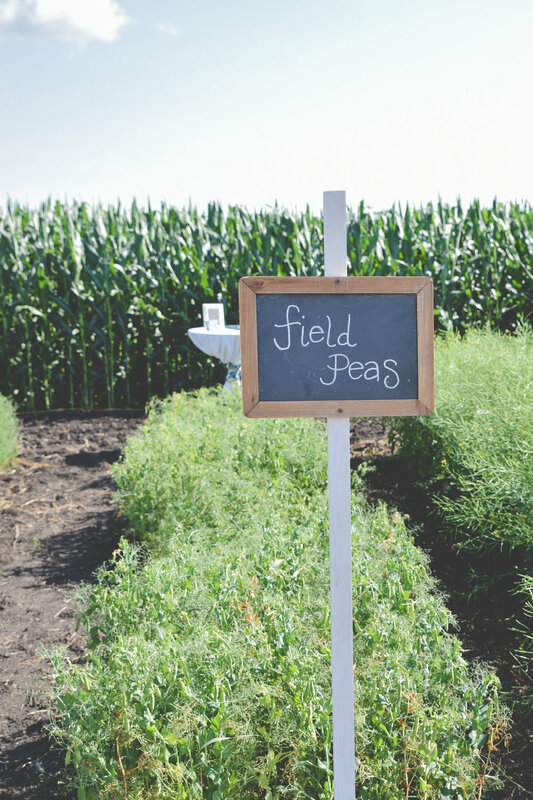 Our program is called CommonGround and it’s all about starting a conversation between women who grow food, and the women who buy it. 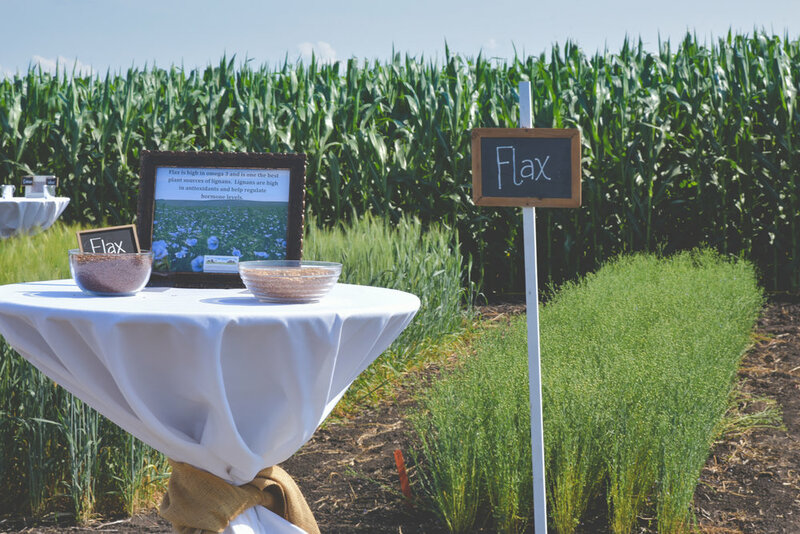 It’s a conversation based on our personal experience as farmers, but also on science and research. 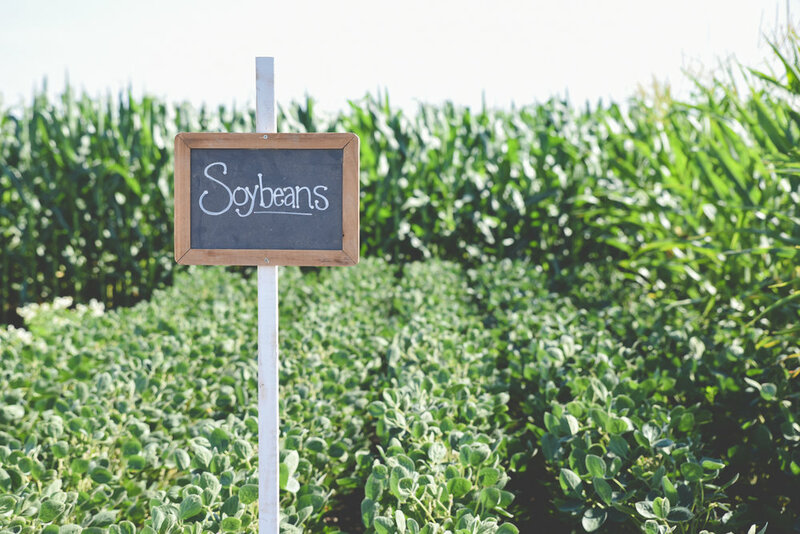 Our first goal is to help consumers understand that their food is not grown by a factory. It’s grown by people and it’s important to us that you understand and trust the process. We hope you’ll join in the conversation.